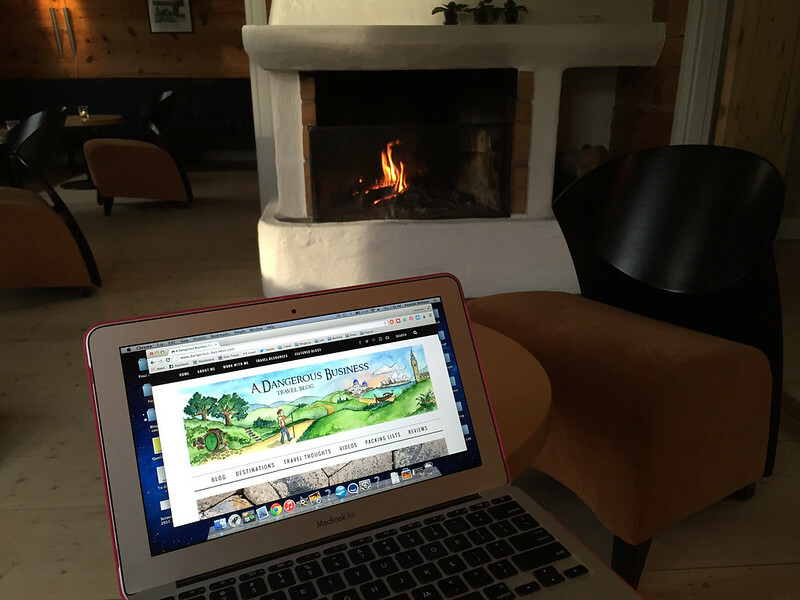 Behind the Scenes: What is Working Remotely Really Like? 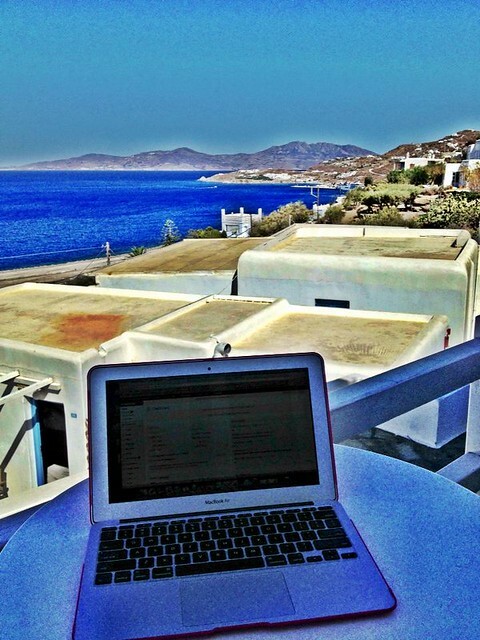 Home » Blog » Blogging » Behind the Scenes: What is Working Remotely Really Like? 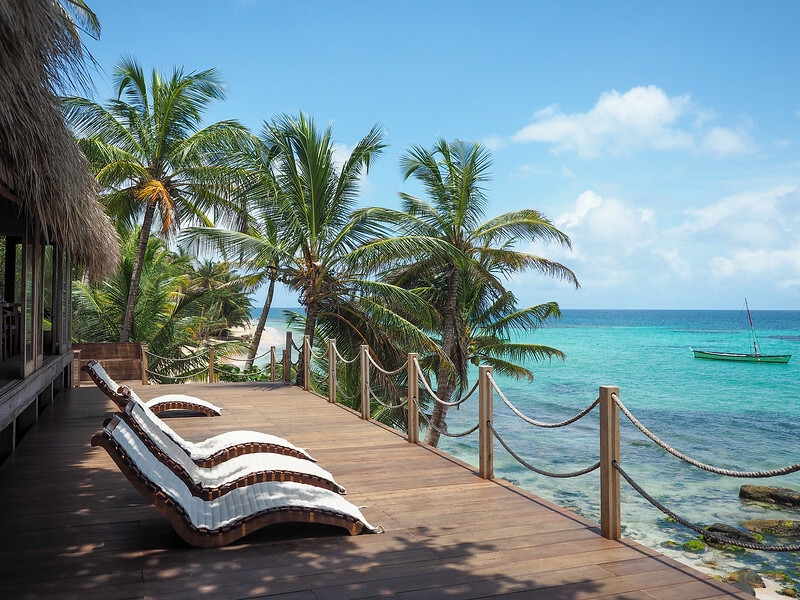 You've seen the photos – someone working on a laptop in a hammock, or on a beach, or on a hotel balcony with a killer view (yup, I'm guilty of this last one – see above!). You see these photos and assume that it's not a lifestyle that you could have for yourself; this is surely the lifestyle of someone with more freedom and less responsibility than you. But what if I told you that wasn't necessarily true? Twenty years ago, the concept of “remote work” wasn't even really a thing. People went to an office or out into the field to do their jobs. Hardly anyone worked from home. And, checking in for daily meetings from some remote corner of the world? Unheard of. So some curiosity about what “working remotely” really means is natural. In some cases, a person might be able to work remotely (or from home) a couple times per month, or maybe even one or two days per week. 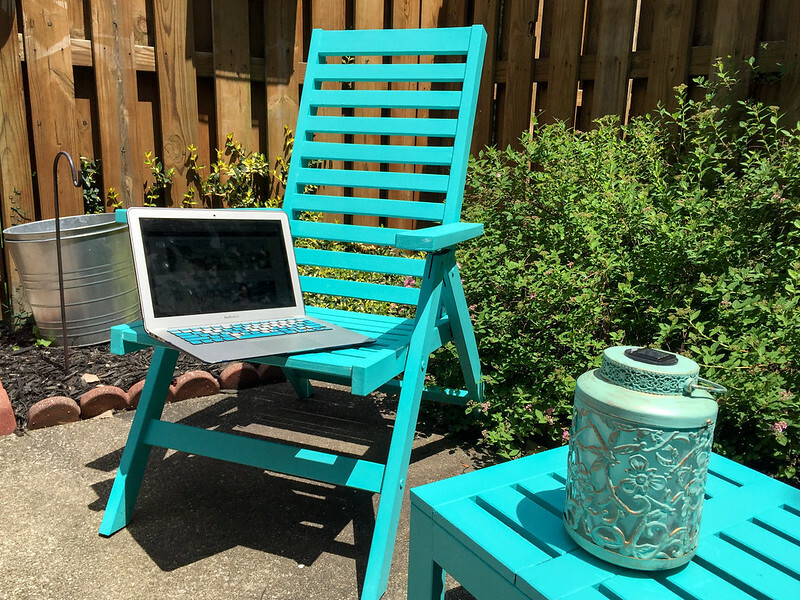 That IS remote work – but not necessarily the type of telecommuting I want to talk about here. I want to tell you what working 100% remote is really like. What it's like to be “location independent” and make a living from wherever you happen to be in the world. This could easily be an office for a day (or a month). Freelancing – When you're a freelancer, it usually means that you're hired for projects – sometimes one-off, sometimes on an ongoing basis – and your workload and salary can vary greatly month to month. For example, I freelance frequently as a writer for a few different travel websites, but also pick up one-off writing or social media gigs when I can get them. Contract work – When you're working on a contract, it means you can count on a certain amount of work for a set period of time. For example, when I was working for software startup Edgar, I was on a contract to work at least 20 hours per week. There's still usually some freedom with contract work when it comes to how/when you put in your hours, but it's generally steadier than straight-up freelance work. Full-time work-from-home – This type of remote work is more regimented; more like a full-time job. You have set work hours every day – you're just doing that work from your home rather than a traditional office. These days, I'm a full-time blogger. While I used to focus on freelance and contract work, I have even more freedom these days because my blog itself makes me a full-time income. This means I can take on as much (or as little) work as I want, based on what my travel plans look like. And while I do have a home base in Ohio, I could conceivably be traveling full-time or living abroad and still be able to do what I do. Basically any job that you can do 100% from a laptop is something that can be done remotely. If working remotely sounds pretty great so far, that's probably because it is! Or, at least it can be. Having a location-independent lifestyle is great for many reasons. Especially when you're a freelancer working remotely, you often have the freedom to set your own working hours. Not a morning person? No problem – start your work day at noon and work into the evening. Want to take the afternoon off to go to the beach or to a museum? You can do that, too. As a blogger, my work load varies from week to week (and sometimes from day to day!). By planning ahead, I can often fit the bulk of my work into a few days if I know I want to dedicate some time to something else at some point during the week. Even when I'm working on a contract, I can usually plan my work around my schedule – even when I'm traveling. The biggest upside to location independence and working remotely is, of course, the freedom to work from anywhere you want. All you really need is a laptop and a decent wifi connection. I base myself out of Ohio, and therefore spend a lot of time working from my home (I like to joke about my daily “commute” from the bedroom to the living room or office). But when I travel, I usually take my work with me. I've worked from balconies in Spain, terraces in the Greek Islands, cafes in New Zealand, the beach in Thailand, and while nestled up by the fire in Norway. The freedom to work AND travel is paramount to a travel blogger like me, but is a bonus to other types of remote workers, too. Even though the freedom to work from anywhere and set your own hours is appealing, working remotely (especially as a freelancer) doesn't come without its challenges. When you're a freelancer or a contractor, it often means that you are your own boss. Sure, you might be hired to do specific work for a specific client and given a deadline, but it's ultimately up to YOU (and no one else) to make sure the work gets done on time. There's a lot of self-accountability involved with working remotely, since you don't have a boss or coworkers around to keep tabs on you. Working from a co-working space is probably the best idea for most remote workers since it acts like your “office” – however it's not always feasible to pay for a desk somewhere. If you travel a lot like me, it's easier to work from home or from wherever you are on the road. But the freedom to work from anywhere also comes with distractions. At home, there's always the TV, my cat, and every social media site out there tempting me into distraction. When I'm traveling, there's of course always the pull to be out exploring instead of working. If you're working remotely, you'll have to learn how to deal with the distractions in a way that still allows you to be productive. An “office” view like this can definitely be distracting! One of the biggest challenges for me as a blogger/freelancer is never knowing exactly how much money I'll be making each month. I often have to hustle for work, and the uncertainty of it all has seriously stressed me out in the past. This is minimized if you take on more contract work, or if you do your “normal” job from home, of course. But it's still something to think about. I've worked hard in the past two years, though, to diversify my income streams so that I'm not relying on one job for all of my income. (This was smart – it meant that when I lost my biggest contract job last November, I knew I could still pay my bills.) But diversifying takes time, and until you hit the perfect balance you may not have a steady paycheck to rely on each month. Lastly, another huge challenge that I face while working remotely is striking a balance between work and play. It's easier when I'm traveling, since exploring a new destination trumps sitting in front of a laptop just about any day. But when I'm at home, I struggle. I tend to work better in the afternoons/evenings, but this means that I'm often opening up my laptop when a new work idea strikes me well into the night. It's something I don't usually think twice about since I LOVE what I do, but I do realize that I don't have a healthy work/life balance. Some days I literally have to force myself to close my laptop and put away my phone and do something that doesn't have anything to do with work. This is something I'm constantly working on! I've talked to plenty of people who don't think working remotely or being a freelancer would be a good fit for them. And that's totally fair – being your own boss, setting your own hours, and dealing with salary uncertainty isn't for everyone. There are also some days where I definitely do miss having coworkers and friends in an office, too. But, at the end of the day, this type of lifestyle IS for me. I love being able to plan a trip whenever I want, and I love that I can write a blog post or manage a social media account from the other side of the globe. Even though the challenges seem… well, challenging, the pros of working remotely far outweigh the cons in my eyes. So what's your take on working remotely? Is it something you'd ever want to do? Wanderos sounds very cool! I’m fortunate that I’m able to WFH a couple days per week, but I’d love to be able to work remotely from different countries to squeeze in more travels! When you can completely work from home (or from wherever you are), it definitely makes it easy to squeeze in more travels! But hey, getting to work from home a couple days per week is nice, too! Working from home IS awesome – especially when you work full time and have young kiddos. Even just one day a week at home helps keep the chaos (and chores) in check. Great post, thanks for sharing – I’ll certainly have to check out Wanderos to see what it’s all about. I don’t have any kiddos, but I can definitely see how working from home even just a couple days a week would be great for a parent. Really great post – thanks so much for sharing your tip and tricks (and some of the downfalls) of working remotely! What a great summary! Thanks for sharing your honest thoughts about this topic! We are constantly thinking and discussing about it lately… 😀 We are trying to slowly move to the contract work / freelancing direction, but we are quite hesitant sometimes. We are eager to have more freedom and to be our own bosses, but uncertainty just terrifies us sometimes. So we are just collecting our strength (and some back-up money 🙂 ) for that big jump what giving up our full-time job would mean. It sounds like you’re definitely going about it the right way – working up to freelancing full time and building up some back-up savings is super smart! I’m sure you can relate, Caroline! Reading this had me thinking of a productive space company named cove in downtown DC. You get all the amentities of an office (wi-fi, printing & scanning, coffee, etc) without going to an actual office. Membership plans are available based upon your needs. For someone who works remotely, this looks like an option. Cove also has a Boston location and looks to expand to other US cities. That sounds great! There are co-working spaces like that popping up in most major cities now. In fact, there’s a small one near where I live, too. If I didn’t travel so often, I would definitely consider renting desk space to try it out. Being able to chat with other people during the day is something I miss sometimes when I’m working from home! Exactly. That’s why I prefer to work remotely than to work in an office. I definitely prefer it, too. I can’t imagine giving up the freedom now that I have it! This is such a great post and you really hit a lot of nails on the head with it. I’ve been thinking about this very topic for a while now and I’m constantly going back and forth with it. I think for me, I really would love to work for myself. I love the idea of being my own boss (and I’d say I’m a self-accountable person, so no problem there), having the freedom to work where and how I want and the idea of not being ‘tied down’. But I feel like I really need to have a steady and dependable paycheck too and the uncertainty would cause my already high anxiety to skyrocket haha. I guess I have to find some sort of balance… I want my work life to have variety but I probably need some sort of structure. Glad you liked it, Ella! When I tried to jump straight into freelancing a couple years ago, it was too much. It was too stressful, and I didn’t like not knowing how much I would make each month. So I got a part-time remote job that at least came with set pay each month. And it was a perfect way to ease into this kind of lifestyle. 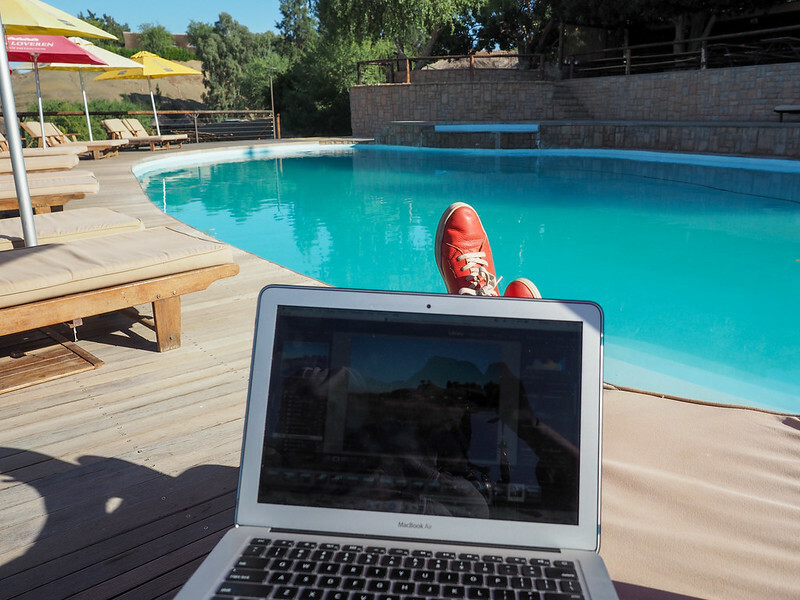 Ahh the life of a freelancer and travel blogger…. “Does Wanderos provide the jobs? No, each traveler will be responsible for their own remote employment. I think it depends on where you live and work normally. If you’re used to paying $500 per month to live in Chiang Mai, then spending $2100 per month to live and travel abroad would definitely sound like a fortune. But that amount isn’t really far off what I pay to live/work in Ohio each month. And if you compare that to living in London or New York? Then it’s a steal! Very helpful tips and Wanderos sounds like an interesting concept. I’ll definitely check it out. Thanks for sharing, Amanda! There are other companies doing similar things, too – working remotely is kind of the “it” way to work right now! Remote Year is another organization like Wanderos. I didn’t know there was more then one! (but of course there is). I am one of the few people that could never work remotely full time. I would get nothing done. When I am at work, I work, and when I am at home, work is not on my mind. I have never even put my work email on my phone (and I hope I never do). I am an anxious person in general and if I had to think about work at home and all the time, always feeling like I am not doing enough, I would fall apart in no time. Hi Amanda, you talked about the different types of work that people do remotely, including freelancing or contracting, but both of those require being hired by someone to do work for them. There is also the type of work where you own your own business and answer to no one but yourself! Tom and I started developing apps when we started traveling five years ago, and our two-person company is still chugging away. I would also add “patchy internet” to the hardship list, it feels like is our number one issue with running our own business while traveling full time! Great example, Jenny! Working 100% for yourself and starting a new business is always an option, too! And you’re also correct that bad Internet can definitely be a challenge – there’s nothing worse than wanting to get work done and you can’t! It definitely can be, so long as you’re willing to take on the challenges! I definitely don’t seeing myself being location independent at any point in the near future, as I have terrible self motivation when it comes to that kind of thing and I just enjoy the act of going to work and having coworkers. But one day I plan on having kids, and most likely being a single parent, would love to be able to stay at home with them all the time, so I would definitely consider making the switch then! Very good logic there, Ijana! It’s a great article, I found it really useful. To be honest I have been working as an employee in one of corporations for three years now (my first serious job btw) and keep getting the feeling this is not quite for me. Perhaps the whole idea that nothing bigger stands behind such kind of work makes it less it not at all inspiring… On the other hand, spot on the challenges of being your own boss, a lot of self-control required and a lot of ideas for your own development. In regular job someone else it thinking of it, which makes it easer, when freelancing – all the responsibility is yours. You’re PM, you’re an employee, you’re Business Analyst, you’re covering all the possible roles. Yup, being your own boss can be difficult! There are a lot of hard decisions to make, and you often don’t have anyone to guide you. I’ve definitely made a lot of mistakes along the way! Definitely a hot topic. Many commenters mentioned concern regarding potential lacking of job/pay security. For all of you who wish to experience Wanderos or something similar, consider formally pitching to your employer you wanting to join a structured, supportive remote work program. I have read multiple stories of both small and large corps agreeing to it! (the data on heightened productivity is very promising to employers and increasing awareness about concern among younger staff for work/lifestyle balance is pushing employers to consider this new work environment paradigm). That’s a fantastic suggestion, Yok! And of course you’ll never know if your company would be open to something like this unless you ask! Ooooh I love this post. 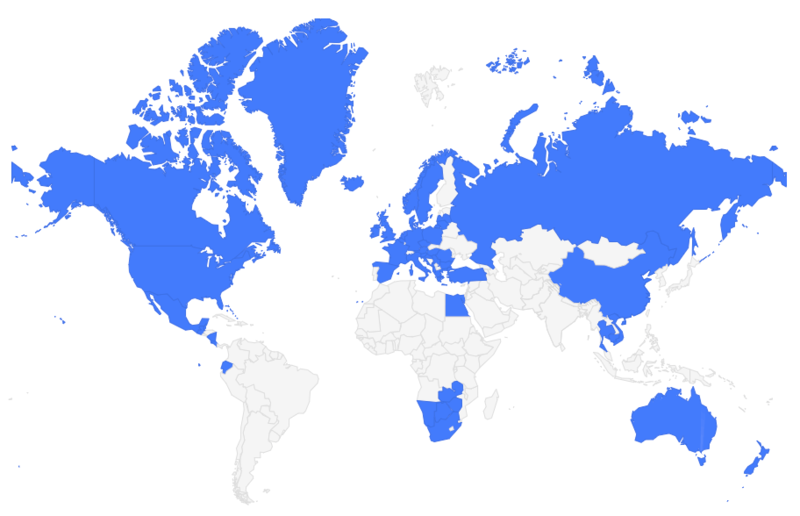 I have been working freelance for a year but only traveling full-time since September, and only overseas since January. It’s waaayyyy harder than I thought it was going to be! I love it, and it’s motivating me to hustle more, but like you said, it’s hard to stop working, and I feel stressed a lot. It’s also really distracting, and I learned I need to travel more slowly and schedule ‘off days’ where it is 100% ok for me to sit in my hostel for the entire day and not experience any FOMO, catching up on work or personal admin stuff (taxes? ew) instead. Trying to find balance will take time I think but I am loving this so much more than the last 10 years of corporate mind drain. Finding that balance is definitely challenging! I totally understand that feeling of FOMO when you force yourself to stay in and get work done instead of exploring. The trick definitely is to plan work days into your itinerary. Otherwise you’ll burn yourself out really quick! This is a pretty rad concept I think! That’s less then what I’d be paying living back home in DC! Though, when I travel, my monthly budget usually hovers around $1,000-$1500 depending on the country. It definitely depends what your expenses are at home (and/or how much you usually spend when you travel). For me, it would be a good deal, comparable to what I spend living/working at home. Working remotely is definitely something I enjoy! I’m quite introverted so I don’t mind being alone a lot throughout the day (something that I think super sociable people may have a problem with) and I actually find that I feel *more* motivated when I’m working from home, since I can be comfortable, take breaks when I need to, and not worry about things like wanting to head home to beat the traffic or whatever. The only problem I’ve ever really experienced is lack of reliable internet connection while traveling. One time when I was in Utila, Honduras ALL of the power on the whole island went down for 24 hours…right when I had an assignment due. Most stressful experience ever! I’m with you on being an introverted remote worker that is actually more productive working on my own from home! I totally understand the frustration with poor internet, though – I’ve definitely been there! I had to skip a day of sightseeing in Florence one summer because the wifi at the hostel I was staying at only worked in the middle of the day when nobody was there. Lol. I love having an online business. I don’t see that ever changing. It allows me to travel full-time, be my own boss, be in charge of my life, and more! And what more could you ask for, right?? I worked from home for around 15 years (my own company, as a contractor, and freelance, doing everything from writing to software). It was really nice to own (up to a point) my schedule week after week. I did do some traveling-while-working, since when you own a company that can’t shut down, you’re the one that has to keep the lights on. That was a mixed bag – I got to go places I otherwise couldn’t, but I couldn’t ever just put everything down and get away from it all. I’m still trying to learn how to do that now that I’m back in the “regular” workforce. I find that after 15 years on my own and now two years back with other employees, I REALLY like working directly with others again — I didn’t really understand how much I’d missed that (although it helps to really like the people you work with!). One of the secret “gotchas” that I found in working at home, especially if you have a family, is that while you can often arrange your schedule to cover family and house needs, it also becomes easy for people to forget that you are actually at home because you have a job there, not because you are unemployed and waiting in front of the TV to be assigned some chores or errands. You have to set boundaries sometimes there, too – if you are on the phone with a client, it might not be the best time to be interrupted about shopping for groceries… And with regard to working as a remote employee rather than an independent contractor or freelancer, while it can work and does work, there is a tremendous risk of being devalued, especially if the rest of the team is all in the same place. You’re not there in person to participate in the instantaneous and ongoing conversations that occur in the office; video conferencing is simply not the same dynamic. While people may not forget about you, they may not fully appreciate you either, and for those in a politically charged work environment, that can be a perilous state. Anyway… I know it’s an old post, but I just found it. 🙂 Thanks for writing it! When I was a remote employee (as opposed to just a freelancer), our whole team was remote. So that actually worked for everyone. But I definitely know what you mean about family/friends forgetting that you’re actually working when you’re home all day. More than once I’ve gotten a call/text asking if someone could stop by, or if I could go somewhere and have had to remind them that I work during the day, too! At my last company, we had a handful of remote employees, but our CIO, while on board with Agile, felt as if Agile wouldn’t work for remote employees. I lived about 45 minutes away from our office, and this winter, we experienced a lot of snow; I took that opportunity to work from home, as did many of our colleagues. And being in office, I was definitely guilty of neglecting the remote employee. It became habit to glance down our table (5×2 desks pushed together like a table for the Agile team) and see if someone was there or not to talk to. If they were at home, it was easy to forget about them. money online. Maybe not exactly the same, but somewhat similar.